When you have a 0-2 record in the Euroleague, the last place you want to be going is a country where you have never won a game of basketball. 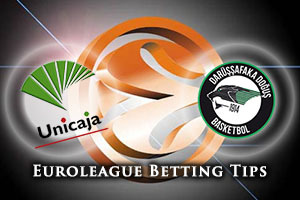 The Istanbul side are 0-4 in Spain and with Unicaja sitting with a 2-0 record in the Euroleague so far this season, all the signs point to a home win but it is unlikely to be that straightforward in Malaga on Friday night as the two teams meet for the first time. While there should be enough motivation in winning to spur a team on to victory, Malaga will know that if they can grab 48 points this week, they will reach the 20,000 point mark in the Euroleague. If they do so, they will become the 11th team in Euroleague history to achieve this feat. You have to think that they will achieve this, they could achieve it by half-time if they pull the stops out, but the most important thing for Unicaja Malaga to focus on this Friday is grabbing another win and keeping their positive Euroleague winning run going. The Turkish side know that they are up against it but there are causes for optimism in their camp. This could be a big game for Marcus Slaughter as he is all set to feature in the 100th game of his Euroleague career. He is also 8 for 8 from the line this campaign and he’ll be looking to add to this in his landmark game. You also have Enders Arslan who has been in good form of late. He has notched at least one three point shot in his last seven games and he has achieved 11 of his last 12 Euroleague games. 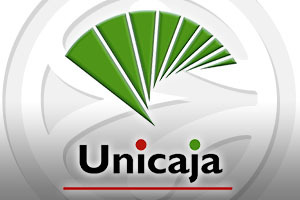 The Spanish side are the favourites and you can take Unicaja Malaga at -6.5 at odds of 1.90. Anyone that is looking to make the most of the Over/Under market will find that going OVER 148.5 at odds of 1.90 is likely to be of benefit on Friday night. Bet Now!